Purveyor of Gothic-Americana and desert-blues, TRENT MILLER returns with his long-awaited fourth album next week. Time Between Us is trailed by the video for the track ‘How Soon Is Never’ by film-maker Trevor Moss. Hailing from Northern Italy, Miller has been resident in London for some years, gigging solidly both solo and with his band The Skeleton Jive. He released his debut album Cerberus on his own label, before signing to Bucketfull Of Brains for Welcome To Inferno Valley and Burnt Offerings. 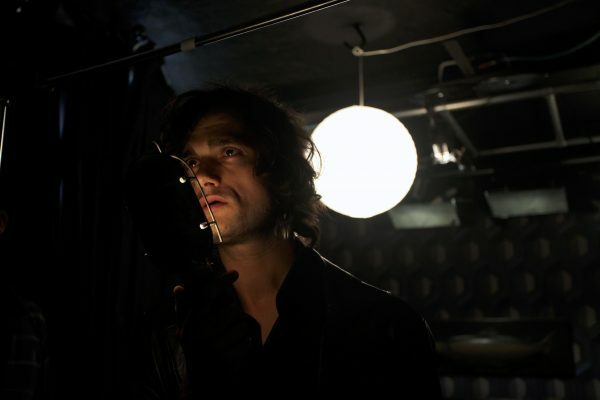 Earning a reputation for leaning towards the dark side, Miller cites various influences from infamous post-punk neo-industrialists DEATH IN JUNE, through JOHNNY CASH and GENE CLARK, to THE GUN CLUB and THIN WHITE ROPE, contributing to a tribute album to the latter, Hidden Desert. Time Between Us is set for release on 6 April through Bucketfull Of Brains. It’s available to pre-order here. ‹ LAST CALL FOR VIVE AWARDS TICKETS!! !